Disclosure: I'm just a regular gal in her 30's. Clearly, I'm not a doctor. I am not giving out medical advice. If you have questions regarding your health, exercise, vitamins, etc. please consult with your physician. Well, it's almost March and chances are, all of that New Year's resolution motivation has lost it's magic. Last Summer I started expanding my horizons with overnight kayak and bike trips. I had an absolute blast but found that my endurance and strength, not to mention my over all health, could really use a tune up. 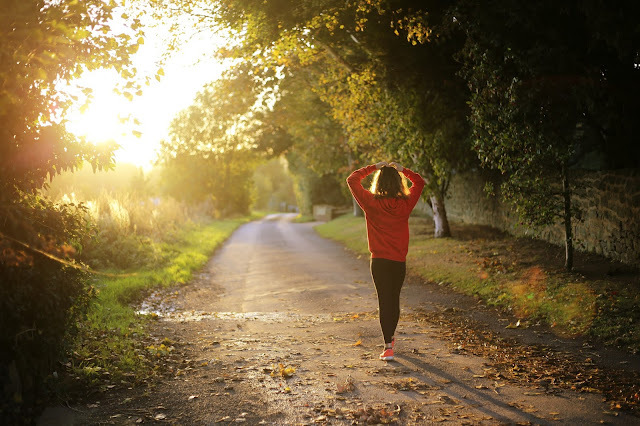 Getting healthy doesn't mean resigning yourself to a state of suffering. It does, however, require a daily choice and simple commitment. If you're looking to be a better version of you this year, here's 10 simple ways I found (that I actually do on a daily basis) to get healthy. My oldest was home from school today (the younger three are homeschooled so their story was a bit different). Typically I try to make bigger breakfasts on our Saturday mornings but I also love treating my kids to their favorite breakfast meals on the days they get to be off school. It's coming to the end of February now and our winter blues are at their peak! We've had a couple good Spring-like days here in West Virginia (two more coming up this week - Whoo hoo!) and I thought a new Summery recipe would do us all some good. 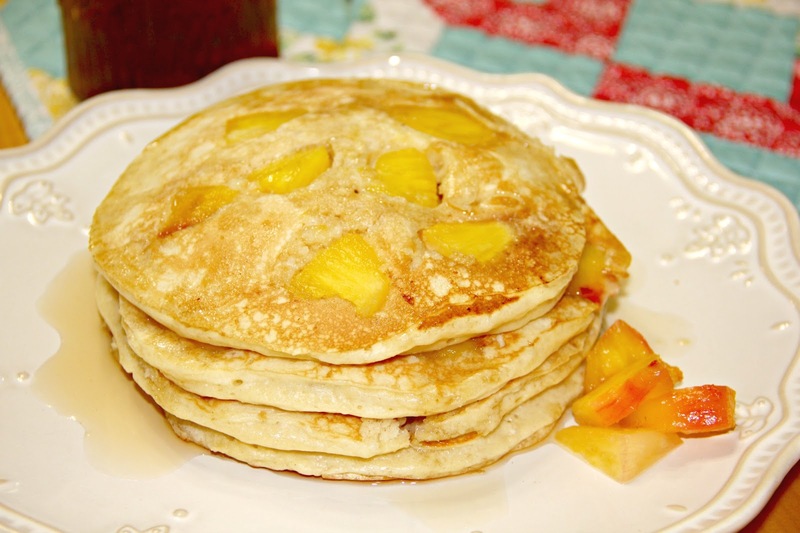 Pineapple Upside Down Cake has always been one of my favorites, so why not turn it into a pancake and enjoy it for breakfast! My high schooler said these were "divine" and I promise ya'll will feel the same! 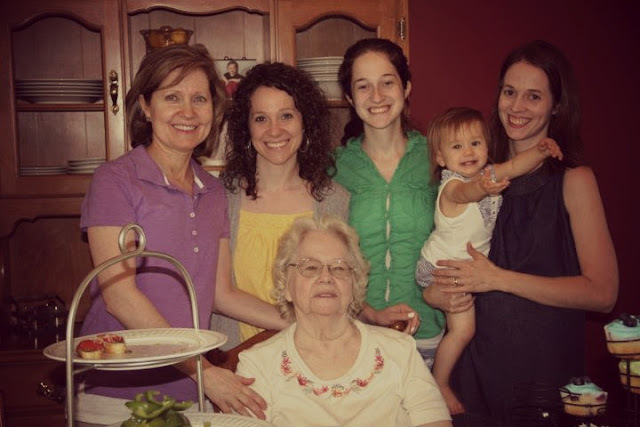 My own sweet Mama, Me, little sisters, Janice and Janessa, my precious niece Maggie, and my beautiful Grandma, Thelma. I've been wanting to write this post for a long time. My Grandma will always be one of the most precious people in my life and I'm pretty sure it was my fear that my writing just wouldn't do justice to how wonderful she is that kept me from sharing about her for so long. Even now, I know that there is no way that my words on a page and a picture on the screen will do justice but I hope that as you read, memories of your own Grandmother will fill your heart. I know she would love that. Over the years my Grandma has given me so much, but I had no idea that her last gift would be one I'd never "open" till she was gone.